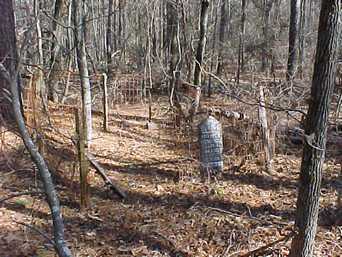 Behind Springfield Church Cemetery in woods. From the Hancock County Courthouse, go east on Hwy 22 for 7.7 miles to Springfield Church Road. Turn left and go 3.4 miles to Springfield Church. As you face the church, a dirt drive runs up on the left side of the church to the church cemetery. Go to the left hand back corner of the cemetery and go into the woods. 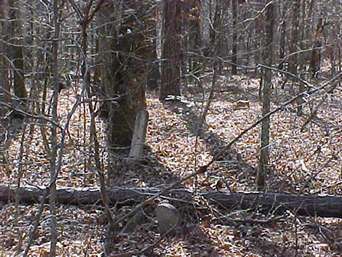 The old cemetery is about 1/8 mile back in the woods bearing to your left as you go. w/o Gilbert Hall. "She faltered at the wayside and the angels took her home." Age 30. w/o Stephen McGee. Grave not found in 2003. All info per Kimbrough.